May’s Defeat in Parliament, Vote of Confidence and Plan B – What Next in the Brexit Saga? On Monday 14th January 2019, Theresa May’s Brexit Plan suffered the heaviest defeat any government bill has ever received in the House of Commons. A day later, her government survived a vote of no confidence. On Monday 21st January 2019, May will present her “Plan B” in the Brexit negotiations. In the following blog post, we look at what our Politics and International Relations staff at Canterbury Christ Church University make of all the drama and the potential next steps. The vote against Theresa May’s deal has created a lot of insecurity. Her government remains dependant on those Eurosceptics that reject her deal (and the DUP), this is what we have learnt from the vote of confidence. Will she be able to come up with a compromise that will be acceptable to some of the opposition MPs? For this to happen, a softer approach to Brexit, with a possible continued membership in the customs union with the EU, seems inevitable. However, she might also aim for some form of deal with her hard-core Eurosceptic party colleagues, which would involve addressing the nature of the backstop for Northern Ireland – something which the EU will be unlikely to want to renegotiate. So, what is left? 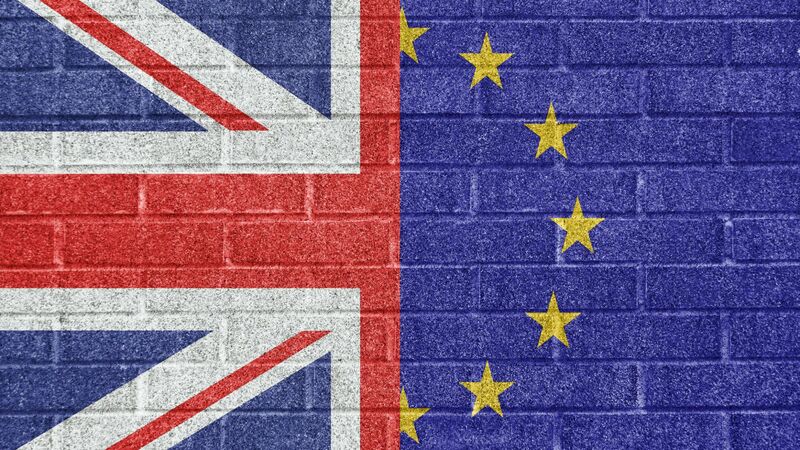 A no-deal Brexit looms in the background and might be the result of Parliament’s inability to find a compromise and Theresa May’s inability to come up with a Plan B that can find a majority in the House of Commons. In any other circumstances, a defeat of the scale which we saw on Tuesday night would have spelt the end for a Prime Minister. However (and not for the first time), internal Tory Party politics intervened. Her victory in the confidence vote in December means that May is safe from removal through a challenge for a whole year, though few think that she’ll stay that long (risking an almost immediate challenge once the year is up). So, we are left with a curious situation – a Prime Minister leading a government that has become the first to be held in contempt of Parliament, and which has just recorded the largest-ever margin of defeat on the most significant policy issue of the day, but who can’t be removed unless she grants an election or resigns. Whilst that remains true, one thing I am convinced of is that to achieve a resolution, the question before parliament will have to be boiled down to a straight binary choice. If MPs are forced to choose between a deal or no-deal, there is a good chance a deal will be passed, but if it comes down to a second referendum or the existing deal, the outcome is more uncertain. Much will depend on what the Labour Party does – whilst Jeremy Corbyn has maintained a careful balancing act, he is under increasing pressure from his party to clarify his position. Seeking a General Election is to my mind a distraction which holds little prospect of breaking the deadlock, and would simply add to the chaos. As a European citizen and politics lecturer I get asked about Brexit all the time and it is wearing me out. It looms large over every decision I make for my family and at work. So when I was asked to contribute to this blog, my initial reaction was to refuse. I feel drained. I can’t see the point in adding to the trillions of words written about Brexit, where there seems to be nothing constructive left to add. Theresa May has interpreted the referendum result as a rejection of immigration, of me and my family. She has pursued her red lines into a dead end, which could lead to the whole country crashing out of the EU without a deal. However, the ways that we have lurched to this point, have left me (and I suspect many more) numb to the whole process. What’s next? I honestly have no idea. I don’t know what it means for parliamentary processes, for trade and industry, for supply chains, traffic jams, the Northern Irish peace process, the rights of my family and many friends and colleagues to live and work in this country, or anything else for that matter. Sorry.